The Swiss painter Hans Erni (1909-2015) was born in Lucerne, and after an early interest in abstract painting, became largely concerned with humanitarian problems which by the end of the war led him to commit himself to the political Left. Often making use of allegory and employing figures both from Greek mythology and the present day, Erni’s Symbolic Realism shows large, powerful forms drawn with a precision of line that borders at times on pure geometry. 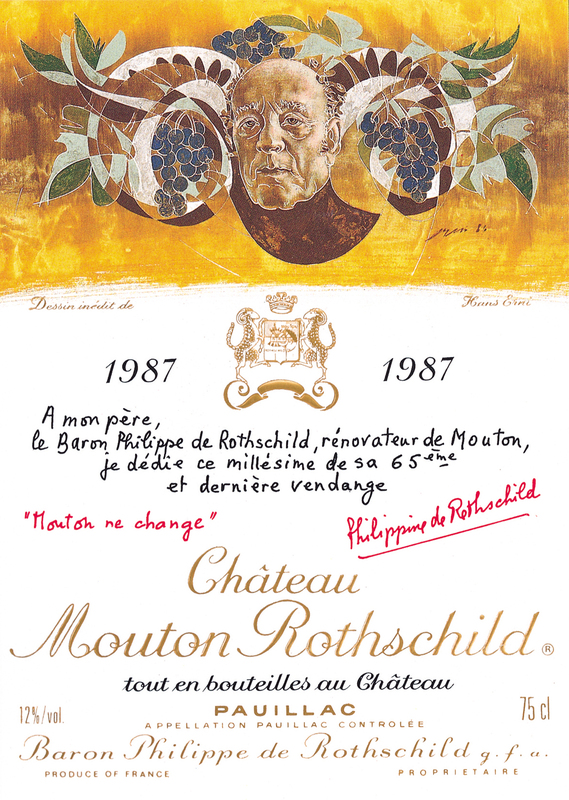 His skill as a portrait painter is evident from his design for the Mouton Rothschild 1987 label. Transforming his sitter into a symbol, Erni has managed to capture the radiant creative energy of Baron Philippe de Rothschild in what was to be a final tribute.